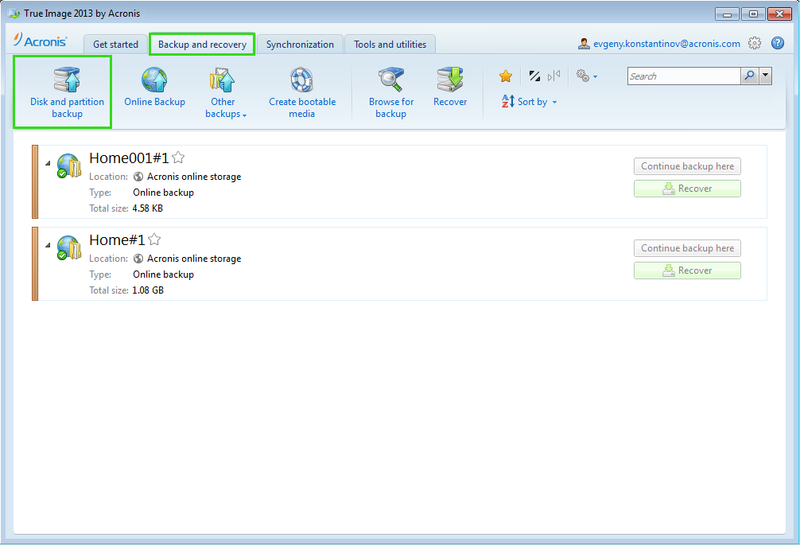 Using True Image 2013, you can create Acronis Bootable Media that has a backup of your system on it (all-in-one). (!) Bootable media with a backup file can only be created when using True Image 2013 in Windows. It is impossible to create such media in bootable environment. If the size of the backup does not fit one piece of media (e.g. CD), the file will be split into several volumes. In this case, the bootable piece will be the first one.